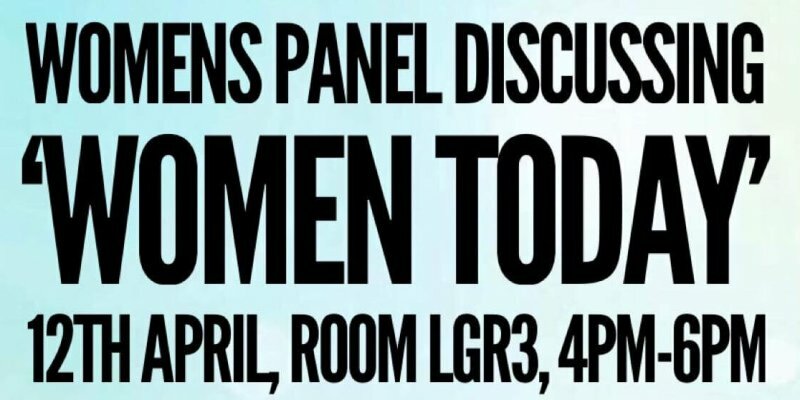 Georgia Holding, the University of Law’s Womens’ Officer, would like to invite you to a Woman’s Panel discussing “Women Today”. Each speaker will talk for 30 minutes. Once all the speakers have finished there will be a short meet and greet in the room where wine and snacks will be provided. This will be a great chance to network and meet professionals at the height of their respective fields. Sally Penni is an Award Winning Criminal and Employment Barrister at Kenworthys Chambers, Manchester, Vice Chair of Association of Women Barristers and Founder of the Women in Law Network. Sally is also a Champion of Helena Morrissey’s 30% Club encouraging a 30% attainment of women on boards across the UK. She will be joining the University of Law to speak about her many roles in particular about how she helps to inspire women in their own field to thrive and prosper. Dr Wendi Momen holds a BSc in Economics and a PhD in International Relations, both from the London School of Economics, where she is a Governor, and works as a book editor. She was awarded the MBE in 2014 for services to the UN Entity for Gender Equality and the Empowerment of Women. She is a founder of Advance, a body that promotes justice, education and empowerment for women. Wendi is also a Trustee of the National Alliance of Women’s Organisations (NAWO) and Hon Treasurer. She is also a Company Member of United Nations Women, UK National Committee; also as a NGO delegate to the Commission on the Status of Women since 1997. Wendi has recently returned from the United Nations Commission on the Status of Women in New York. Wendi has done a substantial amount of work internationally and will be speaking to students about her vast experiences in achieving gender equality across the world. Lucy Mair is an Immigration and Human Rights barrister at Garden Court North Chambers, Manchester. Lucy is a human rights barrister who specialises in representing particularly vulnerable victims of human trafficking, domestic violence, torture, and sexual or other forms of exploitation at all levels in their immigration and asylum appeals (First-tier, Upper Tribunal, Court of Appeal). Most recently she worked at Human Rights Watch, during which time she opened and managed the first Jerusalem field office and researched and authored full length human rights reports. She has also worked as a freelance consultant for international aid agencies and holds a master’s degree in Human Rights from Columbia University in New York. Lucy has spent considerable time in the past year volunteering as a legal adviser in refugee camps in Greece during the Mediterranean refugee crisis. Lucy will be speaking to us about what it is like to be an Immigration and Human Rights Barrister. She will also be speaking to us about her experiences as a legal aid worker in Greece during the Mediterranean Refugee Crisis. There will also be a charity raffle and bake sale on the day to raise money for Pennine Domestic Violence Group (PDVG) who support and give refuge to victims and their families, who have survived domestic violence and abuse, sexual violence, ‘honour’ based abuse, forced marriage and female genital mutilation. If you would like to read more information about PDVG or make a donation please visit Georgia’s Just Giving page. It is free to attend and the discussion is also open to people who do not attend the University of Law, however anyone wishing to attend must first register here.